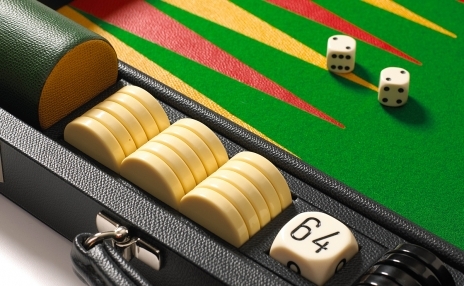 England’s Yorkshire mills have centuries of experience weaving textiles fit for kings. Only their woolen billiard cloth — and no other — is regal enough to line the Geoffrey Parker Club Set. 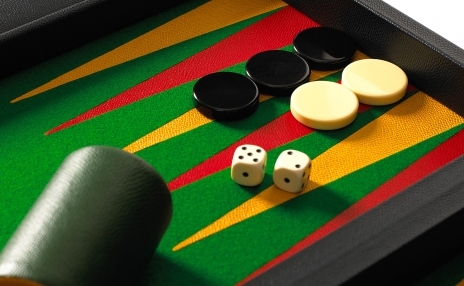 Unlike felt, this billiard cloth won’t pill or fluff over time. 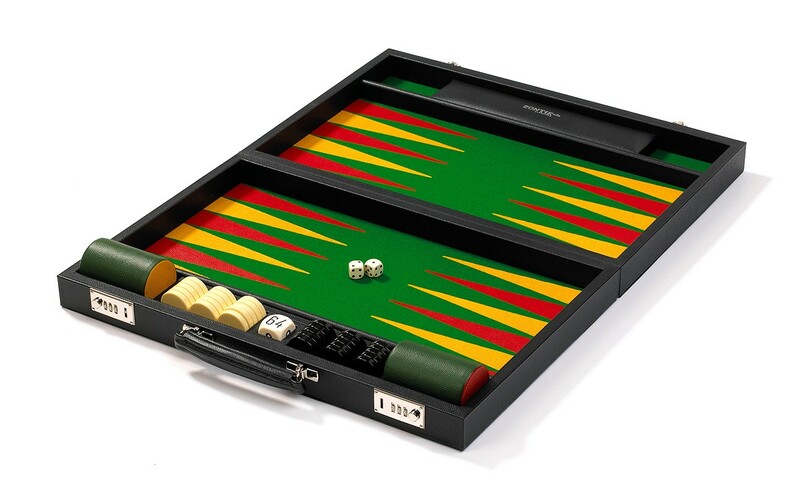 Hard-wearing and fast-playing, this backgammon board allows for minimal die bounce and a quiet game. Leather points are inlaid seamlessly, as only Geoffrey Parker’s artisans can, to add style without sacrificing speed. 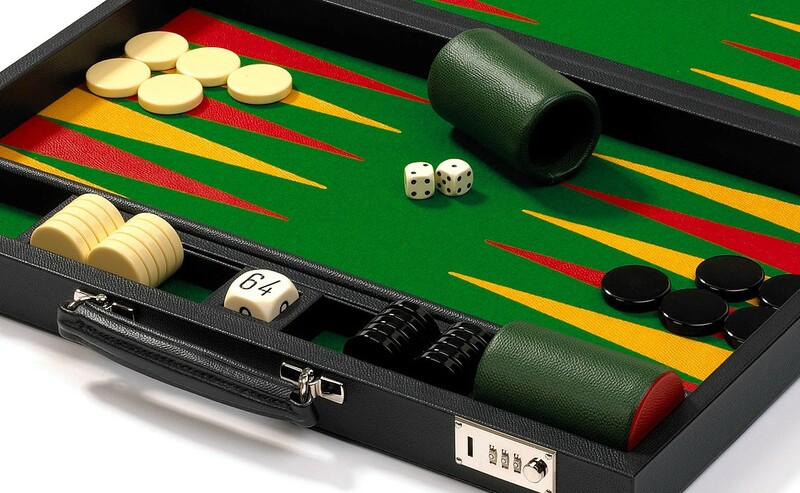 Featured backgammon set has an ebony case with nickel fixtures, club green field with magnolia and ebony points, magnolia and ebony checkers, conifer dice cups with color-coordinated bases, white doubling cube and white precision dice. 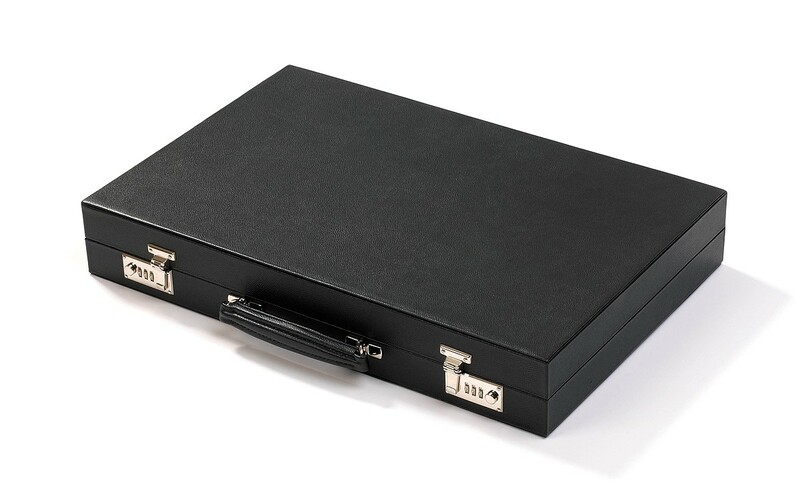 Competition size measures 25.5”x32.8”x1.6” when open.